Tomorrow morningish, depending where you live, The Burning Lands launches folks. We have plenty of info on the expansion and are still working on tagging items and so forth and will continue to add more info in the future. 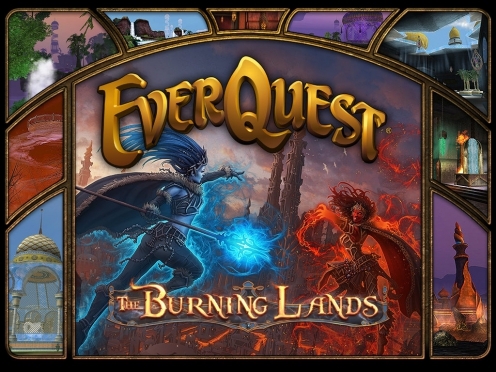 You can check out our The Burning Lands wiki, it has plenty of info on the expansion. It isn't 100% complete yet, we're still working on it so we'll have some of the other pages available soon. Update notes for this downtime can be found in the Game Update Notes section of the forum once they are available.